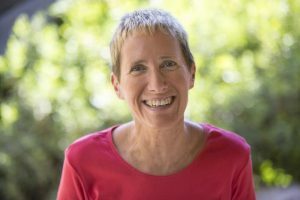 Our guest speaker for Aperture: Third Wednesdays in January is UNC-Chapel Hill Professor Jodi Magness, Kenan Distinguished Professor for Teaching Excellence in Early Judaism. In 2002, an ossuary inscribed “James son of Joseph brother of Jesus” surfaced in the hands of a private collector. A few years later, a Discovery Channel documentary and related book claimed that the tomb of Jesus and his family has been found in Jerusalem. In this slide-illustrated lecture, we examine the validity of these sensational claims in light of archaeological and historical evidence for ancient Jewish tombs and burial customs in Jerusalem, including the burials of Jesus and his brother James. Dinner – baked chicken, mashed potatoes, green beans, rolls – will be served from 5:45-6:15pm in the Fellowship Hall. Please sign up for dinner at by Monday, April 16.